Pristine Origin – The Milk tea-leaves used in this product is originated from Fujian, China, one of the largest tea growing origins in the world. It has more than 1000 years of tea planting history due to its ideal altitude, moisture, soil, and temperature for the plantation of high-quality and pollution-free tea trees. Added with Reishi Mushroom – This product is added with the extract of organic Reishi Mushroom, a traditional Chinese medicine that is also known as [the magic herb". It contains the beneficial essence from both green tea and Reishi Mushroom, which adds more nutritional value to the product compared to the rest on the market. 100% USDA certified organic – Both the Reishi Mushroom and the instant milk tea were 100% organically planted. We make sure very single step throughout the plantation and production phases strictly follows the USDA organic standards, not any pesticide, herbicide, or chemical fertilizer was used at all, delivering the highest quality and nutritional ingredients to our customers. Delicious and healthy – This Organic Reishi Mushroom bubble tea tastes just like a good green tea, with added Reishi Mushroom essence, no taste of mushroom at all. It has a unique medium bodied aroma and a astringent taste. It is a perfect way to boost your morning with a touch of freshness and tastiness. It is also great for pairing with desserts such as cookies and cakes. You can add milk and sugar depending on your own preference. Health benefits – instant bubble tea is a great source of antioxidants such as polyphenols and catechins, which help prevent cell damage from free radicals. Also, the polysaccharides and triterpenoids in Reishi Mushroom have been scientifically proven to be effective in enhancing the immune system, improving sleep quality, increasing microcirculation, and assisting cancer treatment. 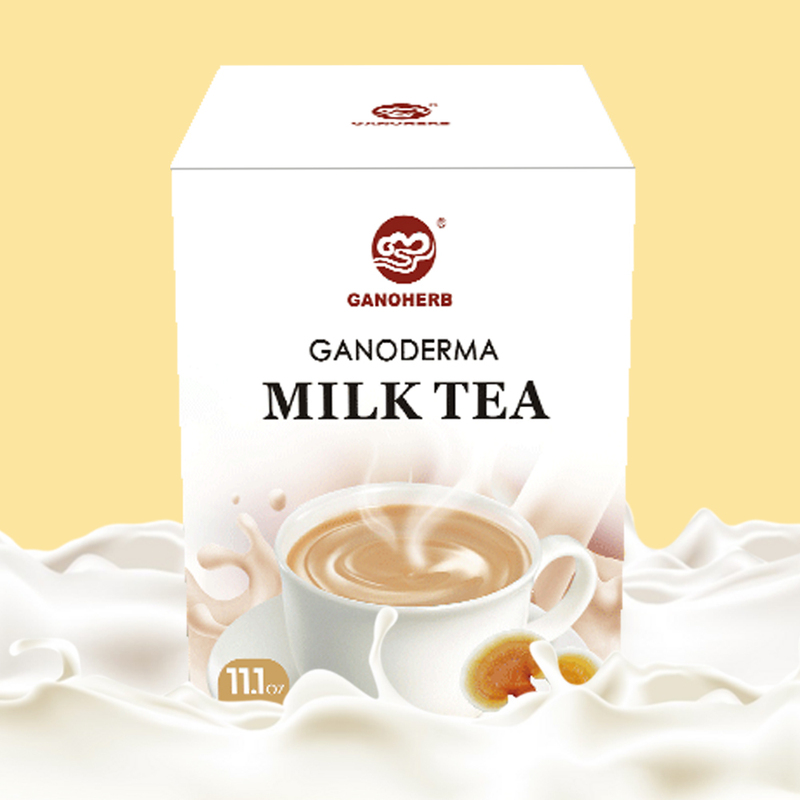 Looking for ideal Milk Tea in Chinese Manufacturer & supplier ? We have a wide selection at great prices to help you get creative. All the Milk Tea Taiwan are quality guaranteed. We are China Origin Factory of Milk Tea Flavors. If you have any question, please feel free to contact us.